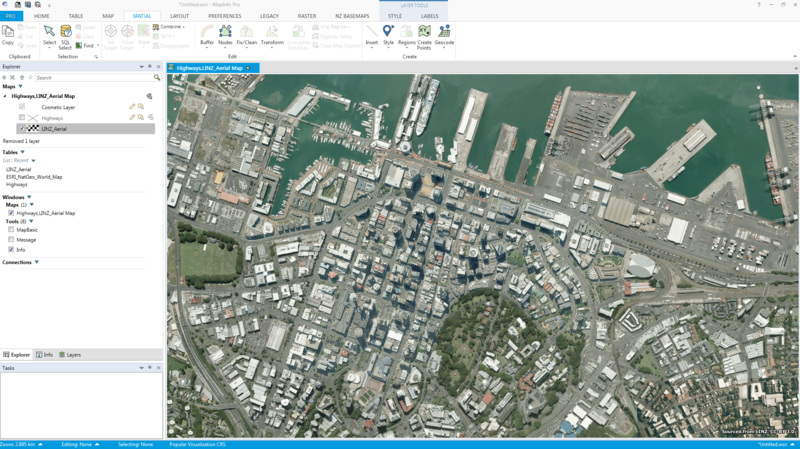 How to access the latest Aerial Imagery for New Zealand in MapInfo Pro. Web Map Tile Services (WMTS) are a great way to both serve and consume large ‘read-only’ datasets such as aerial imagery as basemaps in both desktop and web mapping applications. Their usability derives from the process of building a cache of tiled images once and then only serving up a small set of only the required map images when requested by the application such as MapInfo Pro.Over the last couple of years the number of organisations serving data as WMTS has grown dramatically as their performance benefits over older standards such as WMS has been proven. Here in New Zealand, Land Information New Zealand (LINZ) has started to provide a number of datasets as WMTS through the LINZ Data Service (LDS), including aerial imagery and topographic maps. For the Critchlow team, the NZ Aerial basemap is a fantastic resource that our consultants use regularly and we want to share with you how to access the service in MapInfo Pro. The Aerial Imagery basemap provides a seamless nationwide imagery layer with the newest and highest resolution data and covers 95% of New Zealand. This layer is made up of individual aerial imagery (orthophotography) layers available on the LINZ Data Service, and will be updated as new imagery is captured. Imagery is taken between 2000 and 2014. Pixel resolution ranges from 7.5cm (0.075m GSD) to 125cm (1.25m GSD). The final spatial accuracy varies from +/-0.2 m to +/-20m. Cloud free. The NZ Aerial Imagery basemap (NZAIB) is comprised of aerial imagery only and is therefore cloud free. On the other hand, the Bing Aerial basemap in MapInfo Pro has worldwide coverage and is a mix of both satellite and aerial imagery, meaning there can be some cloud in these images. The two images below are of exactly the same location and zoom and show the difference between Bing and the NZAIB. Orthorectified images. The use of orthophotography for the NZAIB produces a better image as there is little to no distortion. This is more noticeable in urban areas and is highlighted in the image of the Sky Tower in Auckland. Image quality. Especially in urban areas, image quality is generally superior in the NZAIB. Coverage (Part 1). Firstly, there is 95% coverage of NZ in the NZAIB. This is something to be aware of as there are some gaps in the service where imagery has not yet been added – especially in the South Island high country. Bing has 100% coverage as they “fill in the gaps” with satellite imagery. What this simply means is that using Bing at a New Zealand wide or regional level and the NZ Aerial Imagery basemap at city level down to street level will provide the best images for your map. Coverage (Part 2). The imagery provided by the NZAIB coverage does not extend far into the ocean. Again, this is where satellite derived imagery has its strengths over aerial imagery and depending on your scale, Bing may provide a more consistent and appropriate image. Coverage (Part 3). There will be some areas where Bing provides a more recent image than the NZAIB as shown below (Bing on the left, LINZ on the right). In these cases you will need to decide if image quality or date of capture is more important. 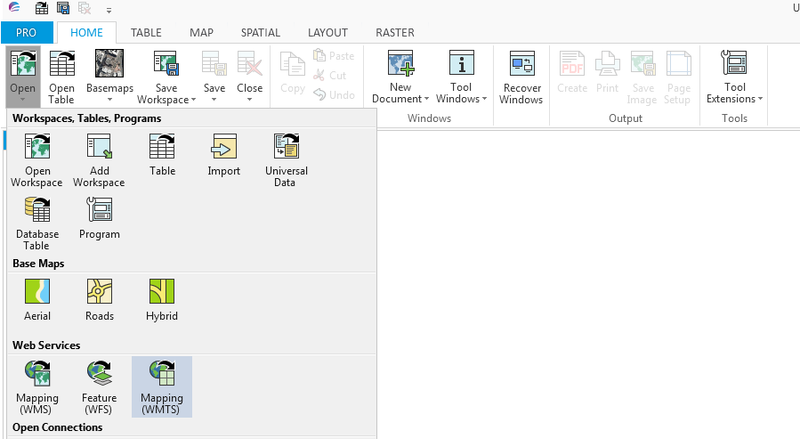 With version 16 of MapInfo Pro, there is built-in support for WMTS and all you need is the URL to connect to the service. However, as a prerequisite, you will need to have your own LDS web services API key to ensure you have a valid URL to use the service. Once you have an API key, just follow the steps below to configure the NZ Aerial Imagery Basemap. Configure any parameters you wish to change the name of the associated .TAB file and its name and choose OK to open the service. If you need to change any of the settings of the WMTS layer you can edit the WMTS table properties by going to the TABLE Ribbon then Maintenance and expanding the Web Services Gallery. Landcare Research also publishes some of its data on land-based science and research as WMTS. To add this service into MapInfo Pro, use this link, but make sure you read this information about displaying the relevant copyright information when using these layers.